Euronet Worldwide, Inc. (NASDAQ: EEFT), a leading global electronic payments provider, today announced new ATM asset purchase and ATM outsourcing agreements with APLITT SPOLKA AKCYJNA (“APLITT”), a provider of financial services to the Polish market. Through the new agreement, Euronet will acquire 167 off-site ATMs, currently operating under the Global Cash brand, which is in attractive, high-traffic locations across the country. The acquired ATMs will be re-branded to Euronet’s branding and will be included in Euronet’s independent ATM network. Additionally, Euronet signed an ATM outsourcing and network participation agreement for 304 ATMs that currently operate under the SKOK24 brand. These ATMs are located at Kasa Stefczyka branches and will be co-branded with both the Euronet and SKOK24 brands. Euronet will provide a full end-to-end managed service for the outsourced ATMs including a full 24/7 customer support service. 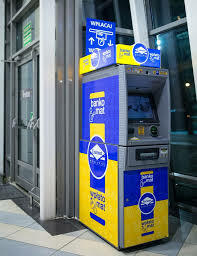 Euronet will continue to utilize the existing functionality and user experience at the SKOK ATMs and will, over a period, also replace and upgrade certain ATM units into full self-service Automated Deposit Terminals (ADTs) providing customers with additional functionality such as cash deposit services. It is anticipated that SKOK will not only see immediate benefits on their balance sheet but will also expand their customer touch points through the participation in Euronet’s country-wide ATM network, which now accounts for more than 8,000 ATMs/ADTs in Poland. The SKOK deal follows two successful ATM outsourcing agreement and network participation agreements signed by Euronet earlier this year. The first included 193 in-branch ADTs, which were owned and operated by Credit Agricole in Poland. Following the deal, Credit Agricole now outsources the operation of 555 ATMs and ADTs to Euronet in Poland. The second included 260 Piraeus Bank ATMs in Romania which were previously operated by the bank. With these three outsourcing agreements, Euronet has now added more than 750 outsourcing ATMs to-date in 2018. “We are excited to further increase our Independent ATM Network in Europe, with ATM outsourcing and ATM asset acquiring from forward-looking banks and FIs. This proves our strategy of being a catalyst of the ATM consolidation wave. We have the resources, the know-how and a solid value proposition for financial institutions to compete in the new challenging market conditions,” stated Nikos Fountas, Executive Vice President and Chief Executive Officer, EMEA EFT Processing Segment. 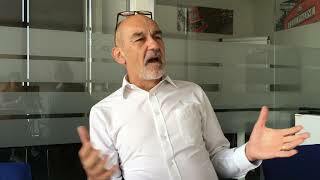 Euronet’s global payment network is extensive – including 41,205 ATMs, approximately 276,000 EFT POS terminals and a growing portfolio of outsourced debit and credit card services which are under management in 53 countries; card software solutions; a prepaid processing network of approximately 695,000 POS terminals at approximately 332,000 retailer locations in 44 countries; and a global money transfer network of approximately 355,000 locations serving 150 countries. With corporate headquarters in Leawood, Kansas, USA, and 62 worldwide offices, Euronet serves clients in approximately 160 countries. For more information, please visit the Company’s website at www.euronetworldwide.com.